​Welcome to SomervilleTowing.com - Towing service provided by Teele Sq Auto located at 1284 Broadway in Somerville, MA. Trouble starting your car or other mechanical problems? Tow Truck Somerville, MA - For reliable tow truck service by one of the areas most reputable service station you can count on Teele Square Auto. Roadside Assistance Somerville,MA - For convenient roadside assistance for flat-tire repair, out-of-gas, dead battery or lock-out service contact Teele Square Auto. ​Flat Bed Towing Somerville, MA - For damage free towing our flatbed tow truck can transport your vehicle to the destination of your choice or to our repair facility. Tow with us! Repair with us! Save with us! Save 20% off your towing when repairing your vehicle at Teele Sq Auto. 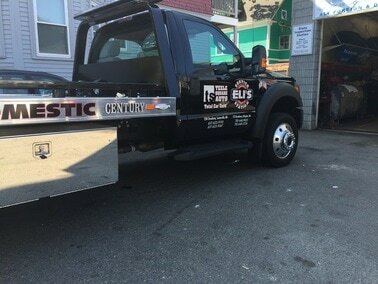 Need Tow Truck Service in Somerville?